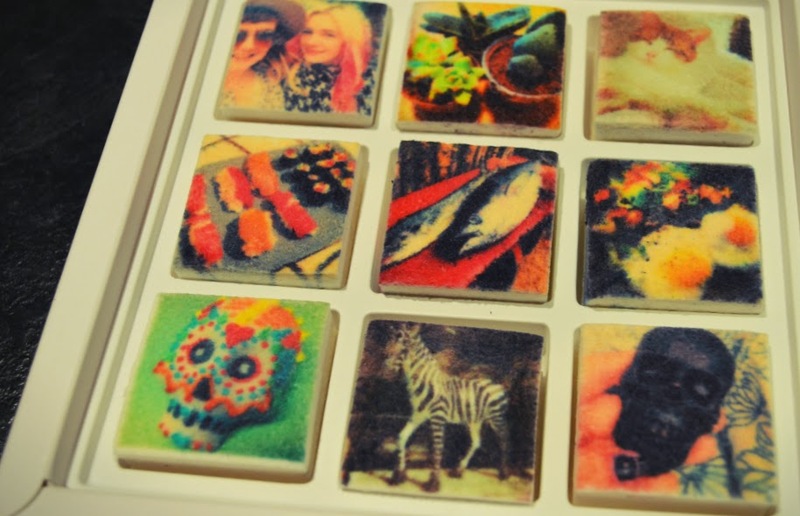 If you're a bit instagram-obsessed, you might have heard of Boomf - a company that prints marshmallows with your instragram photos. It's a bit ridiculous (of course it's a bit ridiculous), but it's also a cute, quirky idea, that might be good if you're still feeling a bit stuck for Christmas present inspiration! A little while ago, Boomf got in touch to offer me a box to try out. Each box contains nine mallows, measuring 4 x 4cm (fitting perfectly in a mug of hot chocolate, as you can see above! ), and I have to say, it is surprisingly difficult to choose what ones to print! In the end I went with a photo of my best pal Steph (as I knew she'd find it hilarious to be on a marshmallow), as well as a few food-themed instagrams (I loved the idea of a fried egg marshmallow!). The printing quality seems pretty good overall - photos were a wee bit fuzzy, but I think that's got to be expected! The marshmallows taste nice too (assuming you aren't put off by eating your own face), and have a slight vanilla flavour. A box costs £15, which is pretty pricey for marshmallows, but I think they'd be an ace one-off treat or super personalised sugary gift. Yum! 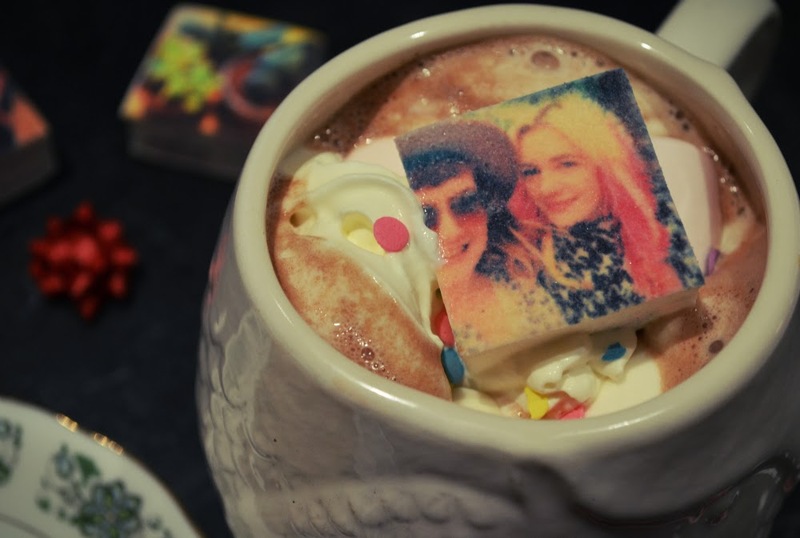 This is such a cool Christmas gift! These are amazing! What a fun idea :) I love your blog and I have followed you with Bloglovin. If you ever get a chance to check out my blog I would be delighted, thanks!